After a long hiatus due to the unfortunate on-set accident that injured actor Dylan O'Brien, the movie that brings the Maze Runner franchise to a close is finally back on track. Maze Runner: The Death Cure excites fans once again with a newly released tease trailer -- a new pick-me-up for the series and it's explosive finale early on next year. This Wes Ball-directed movie stars Dylan O'Brien, Kaya Scodelario, Thomas Brodie-Sangster, Ki Hong Lee, Giancarlo Esposito, Aidan Gillen, Barry Pepper, Will Poulter, and Patricia Clarkson. It was adapted from the novel by James Dashner and written for the screen by T.S. Nowlin. This 20th Century Fox feature is produced by Ellen Goldsmith-Vein, Wyck Godfrey, Marty Bowen, Lee Stollman, and Wes Ball. Check out this exciting new trailer of Maze Runner: The Death Cure. 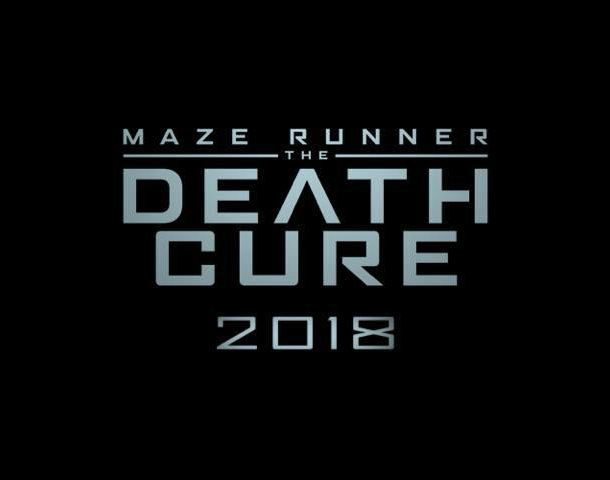 Maze Runner: The Death Cure hits cinemas on January 26, 2018. Dwayne "The Rock" Johnson is a hardworking one. He is so prolific that he is one of the highest paid actors of the recent years. He keeps evolving, just like the Jumanji game fetaured on his latest flick: from board game to the 90's RPG! 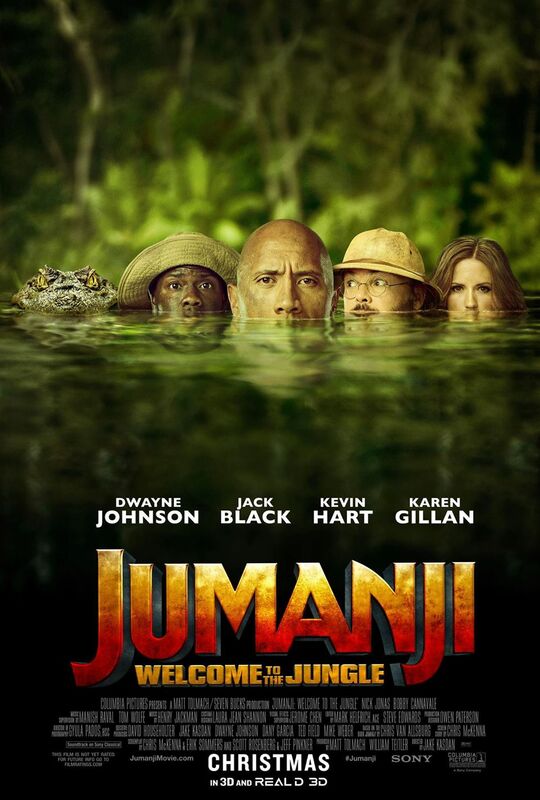 Some of us may remember Robin Williams' Jumanji, but this reboot called Jumanji: Welcome to the Jungle is a totally different kind of animal. This Jake Kasdan-directed movie stars Dwayne Johnson, Jack Black, Kevin Hart, Karen Gillan, Nick Jonas, and Bobby Cannavale. The movie's screenplay is written by Chris McKenna & Erik Sommers and Jake Kasdan & Scott Rosenberg & Jeff Pinkner, based on the screen story by Chriss McKenna and on the book by Chris Van Allsburg. Check out the new trailer for Jumanji: Welcome to the Jungle. Jumanji: Welcome to the Jungle will hit theaters on December 20, 2017. Something huge is about to bring heat on your cold winter days. Yes, the latest installment of the Sigma Force series is about to come our way. The thirteenth book in the series is as diabolical as the number it represents: The Demon Crown. The official cover and synopsis has been unveiled and in less than a few months every fan would surely devour it like a raging fire. If you are not excited about that, then I am sure nothing will. You may be able to read a synopsis of The Demon Crown on this link. 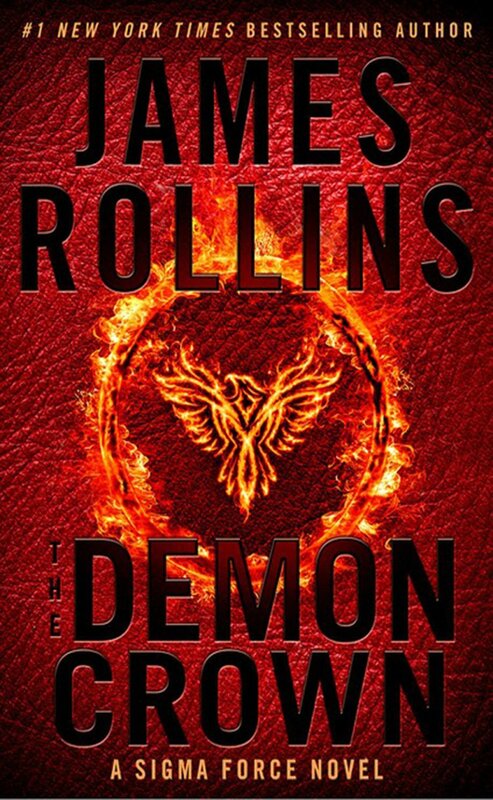 Check out the cover of The Demon Crown by James Rollins. To save mankind's future, the members of Sigma Force must make a devil's bargain as they join forces with their most hated enemy to stop an ancient threat in this gripping adventure from #1 New York Times bestselling author James Rollins. Off the coast of Brazil, a team of scientists discovers a horror like no other, an island where all life has been eradicated, consumed and possessed by a species beyond imagination. Before they can report their discovery, a mysterious agency attacks the group, killing them all, save one, an entomologist, an expert on venomous creatures, Professor Ken Matsui from Cornell University. Strangest of all, this inexplicable threat traces back to a terrifying secret buried a century ago beneath the National Mall: a cache of bones preserved in amber. The artifact was hidden away by a cabal of scientists--led by Alexander Graham Bell--to protect humankind. But they dared not destroy it, for the object also holds an astonishing promise for the future: the very secret of life after death. Yet, nothing stays buried forever. An ancient horror--dormant in the marrow of those preserved bones--is free once more, nursed and developed into a weapon of incalculable strength and malignancy, ready to wreak havoc on an unsuspecting world. To stop its spread, Commander Grayson Pierce of Sigma Force must survive a direct attack on the island of Maui. To be there first has always been the core mission of Sigma Force, a covert team forged to be America's front line against emerging threats. But this time, even Sigma may not be able to decipher this deadly mystery, one that traces back to the founding of the Smithsonian Institution. With each new discovery, the menace they hunt is changing, growing, spreading--adapting and surviving every attempt to stop it from reconquering a world it once ruled. And each transformation makes it stronger . . . and smarter. Running out of time and options, Commander Grayson Pierce will be forced to make an impossible choice. To eradicate this extinction-level threat and expose those involved, he will have to join forces with Sigma's greatest enemy--the newly resurrected Guild--even it if means sacrificing one of his own. The Demon Crown by James Rollins will be released on December 5, 2017.